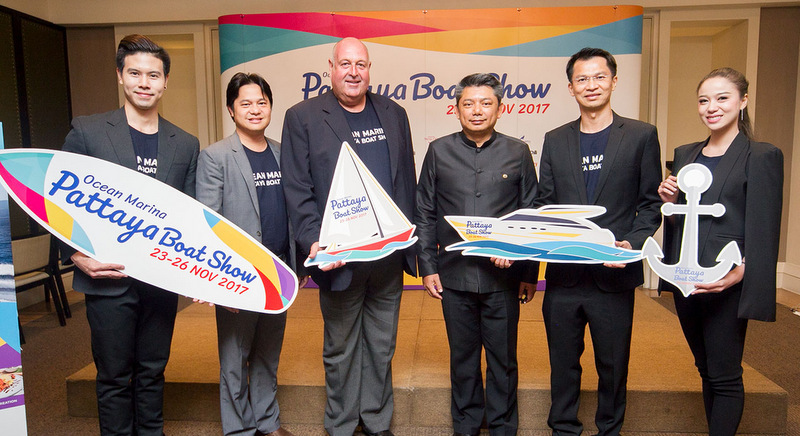 BANGKOK: Organisers of the sixth Ocean Marina Pattaya Boat Show expect more than B2 billion (approx US$60 million) of trade to be generated by the show while supporting the government’s policy to make Thailand the “Marina Hub of Asean” and showcasing the marine leisure credentials – onshore and off – of the Gulf of Thailand. Organisers expect the Ocean Marina Pattaya Boat Show to attract more than 6,000 people to visit the 20,375 square metres of onshore and in-water exhibition space. Dr Tirachai Pipitsupaphol, Managing Director, Ocean Property; Nithee Seeprae, Executive Director, Tourism Product Promotion Department, Tourism Authority of Thailand; Scott Finsten, Harbour Master, Ocean Marina Yacht Club. Dr Tirachai Pipitsupaphol, Managing Director, Ocean Property. Nithee Seeprae, Executive Director, Tourism Product Promotion Department, Tourism Authority of Thailand. Scott Finsten, Harbour Master, Ocean Marina Yacht Club. To be held at Ocean Marina Yacht Club in Pattaya on November 23-26, the Ocean Marina Pattaya Boat Show is a key consumer boat show in the region, showcasing global boat brands and marine products to a Thai market with a growing appetite for the marine leisure lifestyle. According to the Tourism Authority of Thailand, Pattaya welcomed approximately eight million visitors in H1 2017 with spending up 15% on the same period in 2016, while Euromonitor International’s Top 100 City Destinations Ranking placed Pattaya as the 20th in the world by number of visitors. “Pattaya is showing strong growth in visitor arrivals and receipts, and is central to the development of the country's Eastern Economic Corridor. 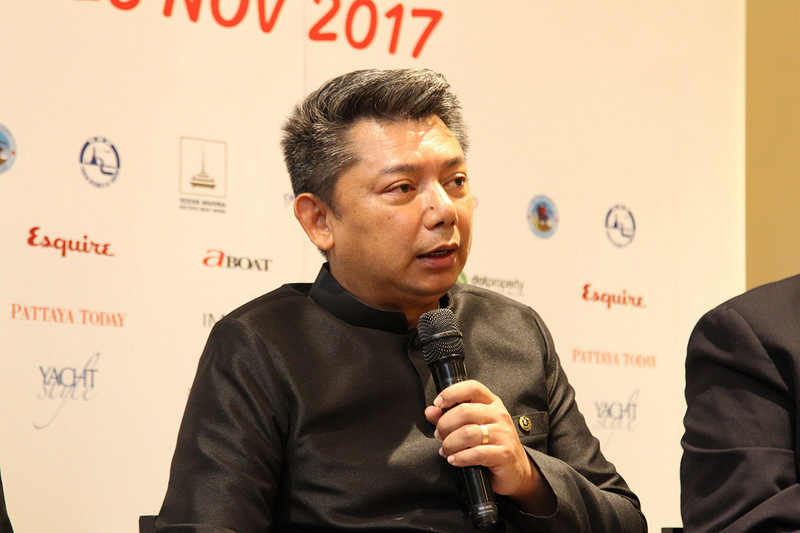 Ocean Marina Pattaya Boat Show has an important role to play in this, being the leading platform for marine businesses to promote their products and services to a domestic and international audience,” said Dr Tirachai Pipitsupaphol, Managing Director, Ocean Property. “Now in its sixth year, the consumer-focussed show has earned a reputation as being a boat show for boat lovers, where people come to see and test the latest products in the industry, and has a track record of trade,” he added. Top international yachting brands will exhibit alongside Thailand’s leading marine businesses with pleasure yachts and commercial vessels ranging from under B1mn to superyachts priced at more than B200mn. New and brokerage boats, charter services, Thai boat builders, and a wide range of marine products and services will be on display over the four days. “Ocean Marina Pattaya Boat Show actively promotes the Gulf of Thailand with its spectacular cruising grounds and world-class onshore facilities, and generates a direct economic gain for the marine and tourism industries in Thailand’s East through trade at the show and business stimulated thereafter. This year we expect the show to exceed more than B2bn baht in trade,” added Dr Tirachai. “Thailand’s East Coast has huge leisure potential. The natural marine assets are relatively untouched and following changes by the Customs Department last year we are receiving more enquiries from international pleasure boats and superyachts who wish to berth themselves in Pattaya and discover the Gulf of Thailand,” said Scott Finsten, Harbour Master of Ocean Marina Yacht Club. 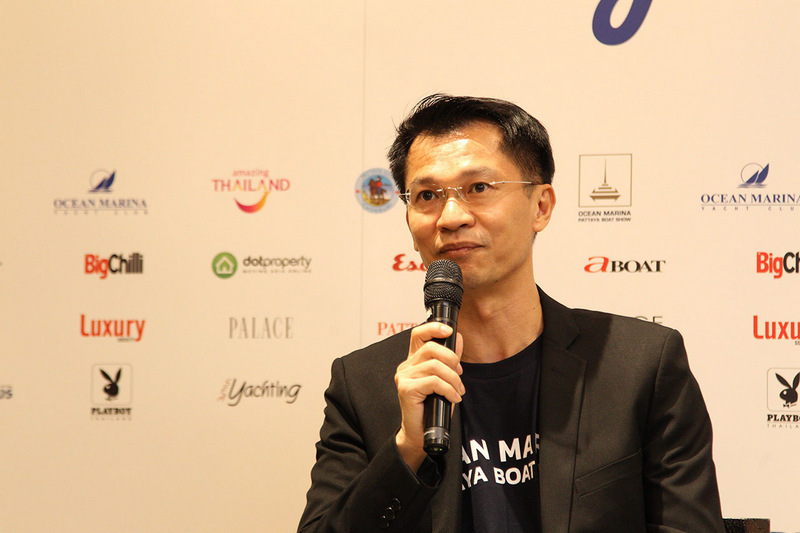 “We are also seeing more Thai people chartering boats for private vacations and more charter companies opening up in the Gulf region to cater to this market. In terms of day trips to nearby islands, this segment is growing rapidly – in H1 2017 18,000 people on average per month departed from Ocean Marina Yacht Club to the islands, up 60% year-on-year. 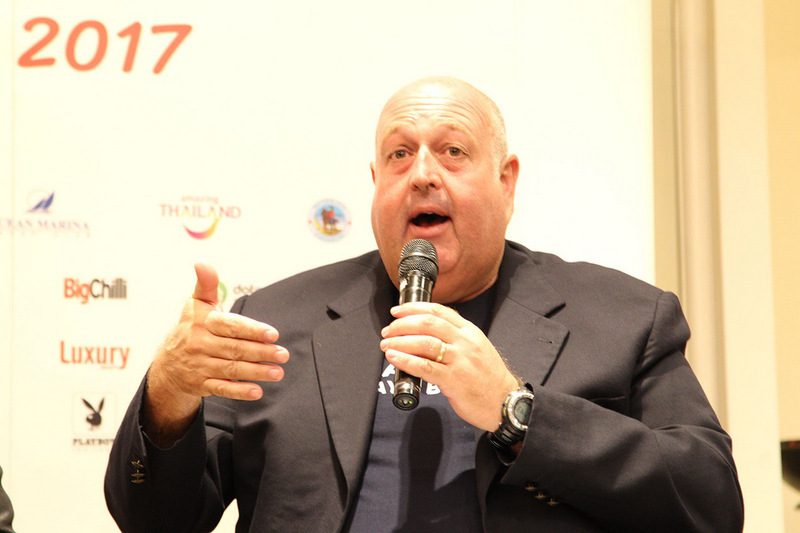 All this bodes well for the local marine industry and provides a solid foundation for further growth of the marine leisure sector in the Gulf of Thailand,” Mr Finsten noted. Kicking off the Asian boat show season, more than 6,000 people are expected to visit the 20,375 square metres of onshore and in-water exhibition space at the Ocean Marina Pattaya Boat Show. A multi-billion baht line-up of boats and businesses will be showcasing everything from small day boats to superyachts, marine products and services, luxury cars and property, and all manner of marine gadgets and water toys. Highlights include experiential activities for visitors and in-water demonstrations from Seabreacher, Jetsurf and many more, as well as free daily yacht cruises. The Ocean Marina Pattaya Boat Show will be open daily from 11am to 7pm – closing at 6pm on the Sunday. For more information visit OceanMarinaPattayaBoatshow.com or the official Facebook page (click here). The Phuket News and Khao Phuket are proud media partners of the Ocean Marina Pattaya Boatshow.